The Sustainable Energy Europe Campaign showcases activities dedicated to energy efficiency and renewable energy solutions. We think it's time to form a bigger picture out of our isolated efforts to inspire change. Concretely the focus is on spreading best practice in sustainable energy technology, build alliances and inspire new energy ideas and actions. Any activity – be it a project or event – which you carry out to encourage the use of renewables or energy efficiency is welcome. There are no limits except that your action must support the overall goal: to spread inspiring stories and be coordinated from Europe. More than 250 new projects join each year and the Campaign promotes around 450 events. SMEs are not best placed to become energy-efficient. According to a survey on SMEs and energy by Eurochambres, the Association of European Chambers of Commerce and Industry, « the smaller it is, the less time, personnel and funds are allocated to energy topics ». The survey clearly suggests that better information and advice, as well as funding schemes and financial incentives, would deliver considerable improvements in energy efficiency among Europe's 20 million SMEs. Thanks to their close daily contacts with the business community, Chambers of Commerce and Industry (CCIs) can support SMEs to take better account of rational energy use. This is why Eurochambres has launched, with the financial support of the European Commission's Intelligent Energy Europe Programme, a project called CHANGE, whereby CCIs will act as first ports of call for SMEs on energy efficiency matters. Within the 60 participating CCIs, specially trained advisers will facilitate SMEs' access to information. They will organise workshops and information events, and encourage SMEs to carry out energy efficiency audits. Eurochambres aims to reach some 12,000 SMEs with information on intelligent energy issues. More info at Croatian Center of Renewable Energy Sources, solarserdar@gmail.com. Opening ceremonies, inaugurations, exhibitions and shows aimed at the wider public and showcasing innovative renewable energy technologies, energy efficient methods or alternative methods of transport. Renewable energy sources are energy sources that are continually replenished. 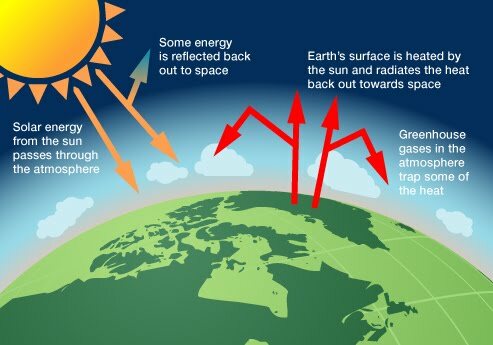 These include energy from water, wind, the sun, geothermal sources, and biomass sources such as energy crops. In contrast, fuels such as coal, oil, and natural gas are non-renewable. Once a deposit of these fuels is depleted it cannot be replenished – a replacement deposit must be found instead. Both renewable and non-renewable energy sources are used to generate electricity, power vehicles, and provide heating, cooling, and light. Renewable sources of energy vary widely in their cost-effectiveness and in their availability across the United States. Although water, wind, and other renewables may appear free, their cost comes in collecting, harnessing, and transporting the energy so that it can do useful work. For example, to utilize energy from water, a dam must be built along with electric generators and transmission lines. Renewables themselves are non-polluting, while the structures built to harness them can have positive or negative environmental impacts. For example, dams may affect fish migration but may also create wildlife habitat. Hydropower refers to using water to generate electricity. Water is the most common renewable source of energy in the United States today. Many hydroelectric power plants use a dam on a river to store water. Water released from behind the dam flows through a turbine, spinning it, which then turns a generator to produce electricity. Electricity generated this way is known as hydroelectricity, and it accounts for about 7% of the electricity used by the nation. Hydroelectric power doesn't necessarily require a large dam – some hydroelectric power plants just use a small canal to channel the river water through a turbine. A small or micro-hydroelectric power system can produce enough electricity for a home, farm, or ranch. The Tazimina project in Alaska is an example of a diversion hydropower plant. No dam was required.Dam sites for hydropower plants are limited both by available rivers and by competing uses for those rivers, such as recreation, tourism, industry, and human settlements. Because of such limitations, water power could never generate all the electricity used in the United States. In addition, environmental impacts are considered when locating dams. Fish ladder.creates a reservoir may flood a large area upstream, and can change flow patterns and impact flooding downstream with resulting environmental consequences, either positive or negative. Fish migration, which has long been a concern associated with dams, is often addressed with fish ladders and other structures to ensure the successful movement of fish both upstream and downstream. In addition to power, dams often provide other benefits such as recreation opportunities on upstream reservoirs, habitat for a wide variety of aquatic and terrestrial species, diversion of water for irrigation, and control of destructive flooding and environmental damage downstream. Hydropower is one of the least expensive sources of electricity and areas with good sources of hydropower tend to attract industries with large needs for electricity. Major hydroelectric dams in the United States are found in the Northwest, the Tennessee Valley, and on the Colorado River. For hundreds of years, humans have used wind to pump water or grind grain, usually with small windmills. Large, modern wind turbines are used to generate electricity, either for individual use or for contribution to a utility power grid. Wind turbines usually have two or three blades and, because winds above the ground tend to be faster and less turbulent than those near the surface, the turbines are mounted on tall towers to capture the most energy. As the blades turn, the central shaft spins a generator to make electricity. In recent years, wind has become an increasingly attractive source of renewable energy – wind energy is the world's fastest-growing energy technology. Wind turbines placed at sites with strong, steady winds can economically generate electricity without producing pollutants. The power in wind increases rapidly with its speed, which means that locating windmills in areas of strong winds is critical. The strongest winds in the United States tend to be in Alaska, the western United States, and the Appalachians. Wind power currently supplies about 1% of United States electricity needs, but capacity is expanding rapidly. Although wind will contribute more to the United States electric supply in the future, like hydropower it cannot be expected to supply all of our electric needs. United States wind resource map.While wind power helps the environment by producing electricity without producing pollution, there can be negative environmental impacts of wind power generation, including wildlife deaths. However, recent studies suggest that the number of birds and bats killed by collision with wind turbines is far lower than the number killed by collisions with other tall structures such as buildings. Appropriate siting of wind farms and individual turbines can reduce the impact on wildlife. Noise, which was a problem with older turbine designs, has mostly been eliminated through improved engineering. Solar technologies use the sun's energy to provide heat, light, hot water, electricity, and even cooling, for homes, businesses, and industry. Despite sunlight's significant potential for supplying energy, solar power provides less than 1% of U.S. energy needs. This percentage is expected to increase with the development of new and more efficient solar technologies. Different types of solar collectors are used to meet different energy needs. Passive solar building designs capture the sun's heat to provide space heating and light. Photovoltaic cells convert sunlight directly to electricity. Concentrating solar power systems focus sunlight with mirrors to create a high-intensity heat source, which then produces steam or mechanical power to run a generator that creates electricity. Flat-plate collectors absorb the sun's heat directly into water or other fluids to provide hot water or space heating. And solar process heating and cooling systems use specialized solar collectors and chemical processes to meet large-scale hot water and heating and cooling needs. The parabolic troughs that make up this concentrating solar power system generate power from the sun on a large scale in California.only operate during daylight hours. In contrast, a coal or natural gas plant can run around the clock, which means the cost for building the plant can be spread over many more hours of use. Around the United States, available sunlight varies considerably as a result of differences in cloud cover and latitude, and also varies with the seasons. In the summer, longer daylight hours and a higher sun angle provide more solar power, compared to the winter when the sun is up for fewer hours and at a lower position in the sky. These variations must be taken into consideration when planning solar collection facilities. Geothermal power uses the natural sources of heat inside the Earth to produce heat or electricity. Currently, most geothermal power is generated using steam or hot water from underground. Geothermal power generation produces few emissions and the power source is continuously available. There are three geothermal technologies currently in use in the United States: direct-use systems, use of deep reservoirs to generate electricity, and geothermal heat pumps. In direct-use geothermal systems, a well is drilled into a geothermal reservoir to provide a steady stream of hot water. The water is brought up through the well, and a mechanical system—piping, a heat exchanger, and controls—delivers the heat directly for its intended use. A disposal system then either injects the cooled water underground or disposes of it in a surface storage pond. Geothermal hot water is used for heating buildings, raising plants in greenhouses, drying crops, heating water for fish farms, or for industrial processes, at hundreds of sites around the country. Geothermal reservoirs appropriate for direct-use systems are widespread throughout the western United States. Estimated subterranean temperatures at a depth of 6 kilometers.water is vaporized and the vapor in turn drives turbines to generate electricity. Binary-cycle geothermal power plants use moderate-temperature water (100-300 degrees F (38-149 degrees C)). The water is used to vaporize a second fluid that has a much lower boiling point than water. The vapor from this second fluid is then used to drive the turbines to produce electricity. California, Hawaii, Nevada, and Utah currently have operating geothermal power plants. Geothermal heat pumps are used for space heating and cooling as well as water heating, for residential and commercial applications. The technology relies on the fact that beneath the surface, the Earth remains at a relatively constant temperature throughout the year, warmer than the air above it during the winter and cooler in the summer. A geothermal heat pump takes advantage of this by transferring heat, stored in the ground, into a building during the winter, and transferring it out of the building and back into the ground during the summer. The heat pump consists of a series of pipes, buried in the ground near a building to be conditioned or where water is to be heated. Fluid is circulated through the pipes to either absorb heat from the ground or distribute heat to the ground. Geothermal heat pumps can be used in most areas of the United States. While geothermal energy use is efficient, reliable, and environmentally friendly, it currently meets less than 1% of U.S. power needs. Biomass power is power obtained from the energy in plants and plant-derived materials, such as food crops, grassy and woody plants, residues from agriculture or forestry, and the organic component of municipal and industrial wastes. Biomass power provides two valuable services: it is the second most important source of renewable energy in the United States and it is an important part of our waste management infrastructure. In the future, farms cultivating high-yielding energy crops (such as trees and grasses) will significantly expand our supply of biomass. These energy crops, coupled with high-efficiency conversion technologies, can supplement our consumption of fossil fuels and help us respond to global climate change concerns. Wood has been used for energy longer than any other biomass source and today is still the largest biomass energy resource. The largest source of energy from wood is pulping liquor or "black liquor," a waste product from processes of the pulp, paper, and paperboard industry. Biomass energy can also be derived from waste and from alcohol fuels. Waste energy is the second-largest source of biomass energy. The main contributors of waste energy are municipal solid waste, manufacturing waste, and landfill gas. Biomass can be used for direct heating (such as burning wood in a fireplace or wood stove), for generating electricity, or can be converted directly into liquid fuels to meet transportation energy needs. Truck unloading wood chips that will fuel the Tracy Biomas Plant, Tracy, California.Electricity generated from biomass is also called biopower. Biopower facilities use many different technologies; the most common is burning of wood or other biomass feedstocks to produce steam which then is used to drive turbines and produce electricity. Some generators use a mix of biomass and fossil fuels to generate electricity, while others burn methane, a product of the natural decay of organic materials. In the United States, the pulp and paper industries are major producers of biopower, using residues from paper production to produce electricity for industrial plant use. Biomass power is close to a carbon-neutral electric power generation option — biomass absorbs carbon dioxide from the atmosphere during its growth and then emits an equal amount of carbon dioxide when it is processed to generate electricity. Thus, biomass fuels "recycle" atmospheric carbon, and may reduce global warming impacts. Biopower facilities produce fewer other pollutants than equivalent fossil fuel power facilities. Biofuels are liquid fuels produced from plants. The two most common types of biofuels are ethanol and biodiesel. Ethanol is an alcohol, the same as in beer and wine. It is made by fermenting any biomass high in carbohydrates through a process similar to beer brewing. The majority of ethanol produced in the United States is made from corn. Current research is exploring ways to efficiently convert cellulose (agricultural waste, forest residue, municipal solid waste, and energy crops) to ethanol. Ethanol is mostly used as a fuel additive for vehicles to increase octane and cut down carbon monoxide and other smog-causing emissions. Biodiesel is made by processing vegetable oil, animal fat, or recycled cooking grease with alcohol or other chemicals. It can be used as an additive (typically 20%) to reduce vehicle emissions or in its pure form as a renewable alternative fuel for diesel engines. The generally accepted view among scientists is that cuts in greenhouse-gas emissions of more than 60% are needed if we are to stabilise atmospheric concentrations of the gases that cause global warming. Let's start with that assumption and go further later. The average British household puts six tonnes of carbon dioxide emissions each year into the thin atmosphere of our planet, and 10 tonnes if we include our travel. Ten tonnes of heat-trapping gas. Enough to fill two Olympic-size swimming pools. Enough, combined with everyone else's emissions around the world, to slowly cook the planet, tip the climate into frenzied chaos, wipe out economic growth, devastate ecosystems in the oceans and onland, create hundreds of millions of refugees, and place at risk a liveable future for our children. On this, George Monbiot and I agree, no doubt. If we want to avoid wrecking our planet, we have to cut from 10 tonnes to four or less. Each and every household needs to do this. If energy-intensive households can do it, industrial, commercial, and public buildings can certainly follow. If we Brits can lead the way (eco-Churchill, where art thou? ), then surely the rest of the world can follow. (At least, in principle). Saving the first two of the four tonnes is like falling off a log. What's more, you make a little money by saving them. By enacting basic energy-saving measures, the Energy Saving Trust has shown that our average household can save two tonnes of carbon dioxide and set aside around £250 towards the holiday rail fares. There are lots of options. In un-insulated homes, 30% of the heat lost escapes through the walls. And stated another way, if you don't have cavity wall insulation, you end up paying up to 25% more on your bills. Pouring insulating foam between the double layers that make up most external walls built since 1930 takes a contractor around 3 hours, and thereafter saves you between £100-120 per year. Solid external walls can also be insulated by applying decorative weatherproofing and internal walls by applying insulation boards or infilled wooden battens. Another 30% of heat-loss is through the roof. Adding a 27 cm layer of insulation in your loft is the simplest and cheapest of all the efficiency measures, and can save you £140-£170 a year on fuel bills. A further 20% or so can escape from poorly insulated window frames and single-glazed windows. Double glazing can cut heating bills by £60-70 per year. The same principle applies, on a smaller scale, to all the other ways heat can escape. Doors, windows and floorboards can all be simply draught-proofed with sealant. All these savings are calculated at last year's fuel prices. This year, with soaring gas prices, the savings will be higher. Next year and into the future: place your bets on how much higher still. With the first two tonnes of carbon dioxide comprehensively banked, and a lot of inflation-proofing built into our household, let us move to tonne number three. Here we might have to shell out a little investment in the future on a longer payback. Most appliances these days are fitted with an EU energy label that shows where the appliance fits on a scale from A (most efficient) to G (most energy guzzling). Many also have an "energy saving recommended" label certified by the Energy Saving Trust (EST). Washing machines that are EST certified use over 30% less energy than typical old ones. Certified dishwashers will use around 40% less. Certified fridges and freezers use over 60% less. Certified lightbulbs use even less still. The bottom line is this. Every light and appliance in the building must be A-graded. I know how easy it is to do this in a home. A few years ago, I moved into a terraced house in Richmond. The previous occupant had consumed electricity at more than the national average per household of around 3,500 kiloWatt hours (kWh) per year. I changed every light and appliance in the house. As result, almost overnight, I cut my consumption by more than two thirds, to just over 1,000 kWh per year. I didn't cheat. I lived there full time, I allowed my daughter to use her energy-vampire of a hairdryer every day (okay, grudgingly), my Chardonnay was just as chilled as anyone else's in Richmond, and I drank more than my average share of it. The high-efficiency appliances I bought weren't that noticeably different in price from the inefficient ones I avoided. (Okay, maybe I'm on shaky ground here. So forget the holiday railfare contribution and invest it in Grade A appliances). My electricity-consumed cost me just a third of what I would have paid had I been a "normal" consumer. With every 1,000 kWh offsetting around half a tonne of carbon dioxide, I saved over a tonne - as I say - more or less overnight. Goodness me, we have cut three tonnes out of four already. And we haven't even started talking about energy SUPPLY yet. A family of technologies, the renewable micro-generators, can generate green electricity and heating right where you need it at home, or at the workplace. You can generate electricity with solar photovoltaic (PV) panels or rooftiles, small wind turbines, or small combined heat-and-power (CHP) units whether driven by biomass or natural gas. (I'm not a zealot. A little gas is okay). You can also generate hot water and heating with solar thermal, biomass boilers, ground-sourced heat pumps, or micro-CHP powered by gas or biomass. I have personal experience of this family of technologies, especially solar photovoltaics. I run a company making £15million a year selling them. (So I have a vested interest. So the nuclear and fossil lobbies don't?). I lived in the UK's first PV rooftile home, the Richmond terraced house mentioned above. I easily generated the electricity I needed with a small 1.6 kilowatt PV rooftile array, and in fact exported a net 14% to the national grid. I generated more than 1,100 kWh per year. I saved around half that fourth tonne of carbon dioxide, in other words. Had I installed a small amount of any other renewable micro-generator - a single solar thermal water heater, for example - I could have saved well over a tonne. So there you have it. Four out of six tonnes of carbon dioxide easily saved. If every household in the UK and abroad did the same in percentage terms, atmospheric greenhouse-gas concentrations could be stabilised, if the majority of scientists are right. (All this assumes, of course, that you don't spoil it all by having a Ryanair frequent flier card, or fail to offset your emissions if you have to fly somewhere). The other thing George Monbiot rejects is the notion that we can go the whole hog, and run the entire energy economy on renewables-and-efficiency at some point in the future. I am sure we can. Those fifth and sixth tonnes can go, and most of the four tonnes used in transport to boot. Note that nowhere in the thoughts above have I mentioned the "big" renewables: wind, biomass, wave, tidal, hydro and so on. Together with some colleagues on the UK Government's Renewables Advisory Board (in case you wonder, they don't listen to us), I spent a bit of time recently wondering what we could do if we really tried. We concluded that the renewables family (big and micro), if hooked up effectively in strategic harness with efficient-energy technologies, could provide all the UK's energy at some point in the future, and/or - renewable family by renewable family - large slices of that demand. Wind power onshore and offshore could provide around 14% of expected national energy demand, or 47TWh per year, if just 17 GW could be installed by 2020. Marine technologies, on conservative assumptions, might add another 2 GW. Projected UK bioenergy resources for 2050 could reasonably be expected to provide 10-20 TWh pa, depending on electricity price. This could increase to 50 TWh pa with effective use of currently more expensive crops. Alternatively the same biomass resources could contribute significantly to the heat or transport demand sectors. I have not talked yet about timing, or improved technologies that exist but are not yet in the market. We have some time to go low on carbon, we do not have to do it overnight. I agree with George that 60% cuts by 2050, the UK government target, is way too late. But neither do we have to achieve deep cuts overnight. Let us not forget that, and imagine instead what we could do if we mobilised as though for war. Let's also not forget the wave of innovation that is underway on low carbon technologies. I see this first hand in my day job. Efficiencies will improve dramatically, and prices will fall steeply, while as the costs of gas and the other fossil fuels go right on rising. George's snipes at solar photovoltaics are rooted in the wrong century, in this respect. (I'll explore that further in my solarcentury blog). Technology is responsible for many of the world's ills, but it can also help enormously in addressing global problems. We could run the world on renewables and efficiency. All we need is real microcosms like the ones my company provide (vested interest that we are), willingness to think outside the box, and effective political leadership. The solidarity of environmentalists like George would, of course, help. As the Senate takes up climate and energy legislation this year, the U.S. Green Building Council & SOLAR SERDAR urges Members to pass a comprehensive bill that will move us away from dependence on fossil fuels and toward a clean energy future. Buildings are part of the solution. While accounting for nearly 40% of our country’s carbon footprint, the building sector also serves as a low-cost, high-return investment strategy to reduce energy consumption and associated emissions, yet their potential remains largely untapped. McKinsey and Company estimates that increased efficiency would save the U.S. economy $130 billion per year, while reducing emissions by 1.1 gigatons a year. Moreover, programs dedicated to spur the retrofit of old, inefficient homes and buildings will create jobs and save consumers money. EXISTING BUILDING RETROFITS. 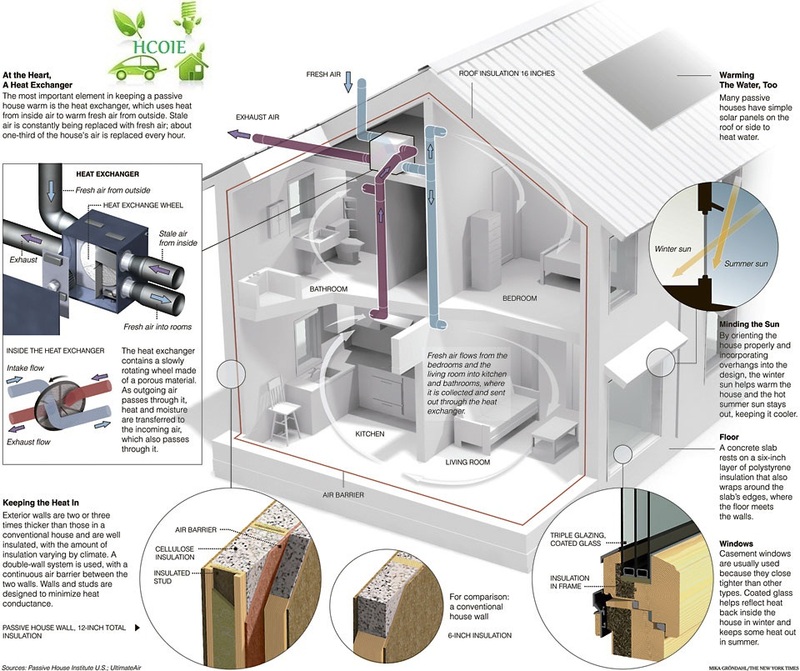 A residential and commercial green retrofit program, such as the Retrofit for Energy Efficiency Program (REEP) included in the Clean Jobs and American Power Act (S. 1733), or a combination of the Home Star Energy Retrofit Act of 2010 (S. 3434) and the Building Star Energy Efficiency Act of 2010 (S. 3079). These programs are estimated to create over 300,000 jobs over two years. IMPROVED BUILDING CODES. A program to strengthen and enforce building energy codes, with efficiency targets that build upon those in the American Clean Energy Leadership Act (ACELA) and are increased incrementally over time. The adoption of codes with higher energy efficiency targets has the potential to save building owners in the U.S. over $4 billion per year in 2015, according to DOE. ENERGY PERFORMANCE DISCLOSURE. The creation of a national, voluntary program for effective benchmarking and disclosure of building energy performance for a diverse set of building types, such as what is already included in ACELA . In order to impact the 125 million existing buildings in America, the labeling program implementation should apply to existing building stock as well as new construction. WATER EFFICIENCY. Authorization of a national program such as WaterSense to identify and promote water-efficient devices; authorization of federal procurement of such devises; and state incentive programs as described in S. 1733. According to the EPA, if one out of every 100 homes in the U.S. were retrofitted with water-efficient fixtures, we could save 100 million kWh of electricity per year—the GHG reduction equivalent of removing nearly 15,000 automobiles from the road. Furthermore, legislation should contain aggressive national goals and funding for complimentary measures that 1) unlock efficiency and clean power such as an Energy Efficiency Resource Standard and a Renewable Electricity Standard; 2) reduce oil consumption, by promoting transportation efficiency and transit-orientated development; and 3) facilitate global emission reductions through international clean energy deployment and technology cooperation for developing countries. SOLAR SERDAR and USGBC urges the Senate to pass a comprehensive climate and energy package in 2010 that contains emission targets based on science, invests in a clean energy future and gives back to American communities. Investments in building efficiency now will create jobs, save money for consumers and businesses, reduce emissions, and unleash technology innovation. USGBC Advocacy Staff at publicpolicy@usgbc.org. SANYO Solar is one of the most important international solar companies. For more than 30 years we have been setting standards for the development of new, innovative and high performance photovoltaic products. Because SANYO has focused on renewable energies technologies, we are significantly contributing to ensuring that the rising worldwide demand for energy can continue to be met in the future. In Photovoltaics, the sun’s radiation energy is transformed into electric energy. This is accomplished by means of solar cells. As a rule, solar cells consist of the semiconductor silicon, which is particularly suitable for the manufacture of solar cells because of its high availability, low raw material costs and simple transformation. Semiconductors are substances that become electrically conductive when they are exposed to light or heat. Solar cells are essentially structured into two layers, where one layer is negatively charged and the other holds a positive charge. As soon as sunlight strikes the layers, a voltage tension develops between the two layers. This generates direct current within the solar cell. In order to be able to use this current, photovoltaic systems have a power inverter or AC converter. The inverter converts the direct current generated by the cells into alternating current, which can then be used for household purposes or to be fed into the public electricity grid. There is much talk about Photovoltaics nowadays. It is one of the most important milestones when it comes to our future energy supply. Photovoltaic systems already hedge against the constantly rising costs of fossil fuels. Furthermore, they boost the value of a building and help to safeguard your retirement. As in acquiring a solar system you are making a long-term and high value investment, the quality of the individual modules is determining. You should therefore choose a brand that will give you a definite reliability guarantee and which you can trust. SANYO has been one of the most innovating companies in solar technology for more than three decades, and has installed more than 1.2 million modules in Europe alone. Our Modules are certified by internationally renowned, independent testing bodies such as the TÜV Rheinland, and meet European standards. We will be happy to give you that assurance in writing together with our comprehensive service warranties. Our goal is to provide you with a product that meets all your service and quality requirements and thatwill ultimately give you much more. SANYO Solar Modules have received many awards and are highly appreciated by professional installers. Even if here we get a little more technical, if you would like to know more about modern solar cells and SANYO’s innovative HIT technology, it’s worth taking a closer look. SANYO’s HIT Double® Modules generate solar electricity simultaneously on the front and on the back side. The back side of the Modules takes up environmental light reflected from surrounding surfaces. This additional amount of light is combined with the light taken up by the front side of the Module. As compared to our single-side HIT Modules,energy generation can be increased by up to 20% per square meter with the HIT Double® Modules by virtue of their special design. The HITDouble® by SANYO are also some of the highest performance modules currently available. In many European countries it is also financially advantageous to build large photovoltaic plants and to sell the electricity thus generated at a profit. However, their design, construction and operation is more complex than is the case for home systems. Thus e.g. meeting scheduled deadlines and managing the flow of financial resources as well as development and construction require special attention. For such projects we work with different partners specialising in the pertinent tasks on a Europe-wide basis. Solar water heating can be used for heating hot water or swimming pools at home. One needs about four square meters of direct sunlight on the roof (southeast to south west) for the main part of the day for a domestic home system. Additional space will be required for a water cylinder system. Choosing a system requires looking into a few factors- where the direct sunlight falls on the roof, the existing hot water system at home and your budget. If one lives in the colder part of North Carolina, there is also an indirect method where a non-toxic anti-freeze liquid is used. The sun warms this liquid which transfer the heat to water that is held in the tank. The heated liquid is brought from the solar collector to the water tank, where the pipes loop around the water heater to transfer their heat to the tank. During winter one will want to keep the propane heating system as a backup during mornings, evenings, and the coldest parts of winter. A two- tank system or a one-tank system can be used. In a two-tank system, the solar-heated water is first sent to the solar tank, then sent through the conventional water heater. In a one-tank system, the solar storage and backup heater are combined in one tank. Also, the propane heater should be adjusted so that it heats water only to up to the maximum degree it is required. If a system is in the shade it will not work effectively, so first and foremost make sure that you have your system in the direct sunlight. This means throughout the day, some systems get great sun in the mid-day and are shaded all afternoon (try to avoid this). Secondly, make sure that your system is facing in the Southern direction for maximum efficiency. According to the U.S. Department of Energy, using solar thermal technology will drop your water-heating bill an average of 50 to 80 percent. Additional benefits include protection from fuel shortages and price hikes and the benefit of contributing to the overall environment. In your neighborhood alone, switching to solar water heating will drastically reduce emissions caused by conventional systems. Solar water heating operates at 80 percent efficiency. What’s more, solar water heating is simple, usually consisting of two or three rooftop collectors that direct sun-heated water to holding tanks that contain anywhere from 66 to 120 gallons of water. Solar hot water heaters stand out as a reliable and cost effective renewable energy technology with significant near-term potential to meet energy needs in the residential, commercial and industrial sectors. A typical solar hot water (or solar thermal) system in North Carolina can supply 50-80 percent of a household’s water heating needs using free, radiant energy from the sun. Such systems lead to significant cost savings over time, since homeowners spend on average $300 – or up to 25 percent of their energy bill – every year heating water. In today’s market, up-front costs for solar thermal systems are typically recovered through energy cost savings in about 10 years, a fraction of the system’s 20 to 30-year lifespan. If you include its cost in a 30-year mortgage for a new home, a solar thermal system can be purchased for around $16 per month, an expense that would be offset by the energy savings that the system provides. In addition, the energy savings provide a hedge against future uncertainty of energy prices. The economics of solar thermal for commercial and institutional buildings is quite positive. A solar water heating system with 30 collectors would cost about $110,000. With federal tax credits, state tax credits, and depreciation, the net cost would only be about $18,500. The annual energy savings would be about $3,600. The energy savings would provide about a 19% annual return on investment. The aggregate impact of widespread solar thermal adoption can be significant. If North Carolina’s solar thermal companies installed 35,000 residential systems and 500 commercial systems each year, the energy savings generated would be about 130 million kWh -- $11 million of savings annually. Assuming this level of installation could continue for 10 years, the energy savings would be approximately $110 million each year, a savings that would escalate over time as energy prices rise. The savings would be equivalent to avoiding combustion of 550,000 tons of coal each year. Photovoltaic comes from the words photo meaning light and volt, a measurement of electricity. First used in about 1890, the word has two parts: photo, a stem derived from the Greek phos, which means light, and volt, a measurement unit named for Alessandro Volta (1745-1827), a pioneer in the study of electricity. Therefore, photovoltaic could literally be translated as light-electricity. That is exactly what photovoltaic materials and devices do; they convert light energy to electricity, as Edmond Becquerel and others discovered in the 18th Century. A: A PV system that is designed, installed, and maintained well will operate for more than 20 years. The basic PV module (interconnected, enclosed panel of PV cells) has no moving parts and can last more than 30 years. The best way to ensure and extend the life and effectiveness of your PV system is by having it installed and maintained properly. Why use a Photovoltaic system? A residential PV power system enables a homeowner to generate some or all of their daily electrical energy demand on their own roof, exchanging daytime excess power for future energy needs (i.e. nighttime usage). The house remains connected to the electric utility at all times, so any power needed above what the solar system can produce is simply drawn from the utility. A PV system reduces, or can completely eliminate, the amount of electricity you have to purchase from your utility or electric service provider. A PV system can save you money on your electricity bill and act as a hedge against future price increases. The electricity generated by your PV system is clean, renewable and reliable. You help your community by reducing the electricity demand and provide additional electricity for the grid when you generate more than you use during the day, when this demand is highest. What does solar water heating look like? The roof collectors look like skylights that integrate well with rooflines. Flat plate collectors are most common, available in sleek black colors. One of the most cost-effective ways to include renewable technologies into a building is by incorporating solar hot water. The Housing and Urban Development’s Partnership for Advancing Technology in Housing Program named solar water heating one of the top 10 technologies for 2007! A typical residential solar water-heating system reduces the need for conventional water heating by about two-thirds. It minimizes the expense of electricity or fossil fuel to heat the water and reduces the associated environmental impacts. Most solar water-heating systems for buildings have two main parts: (1) a solar collector and (2) a storage tank. The most common collector used in solar hot water systems is the flat-plate collector. Solar water heaters use the sun to heat either water or a heat-transfer fluid in the collector. Heated water is then held in the storage tank ready for use, with a conventional system providing additional heating as necessary. The tank can be a modified standard water heater, but it is usually larger and very well insulated. Solar water heating systems can be either active or passive, but the most common are active systems. Direct-circulation systems use pumps to circulate pressurized potable water directly through the collectors. These systems are appropriate in areas that do not freeze for long periods and do not have hard or acidic water. These systems are not approved by the Solar Rating & Certification Corporation (SRCC) if they use recirculation freeze protection (circulating warm tank water during freeze conditions) because that requires electrical power for the protection to be effective. Antifreeze. The heat transfer fluid is usually a glycol-water mixture with the glycol concentration depending on the expected minimum temperature. The glycol is usually food-grade propylene glycol because it is non-toxic. Drainback systems are a type of indirect system that uses pumps to circulate water through the collectors. The water in the collector loop drains into a reservoir tank when the pumps stop. This makes drainback systems a good choice in colder climates. Drainback systems must be carefully installed to assure that the piping always slopes downward, so that the water will completely drain from the piping. This can be difficult to achieve in some circumstances. Integral-collector storage systems consist of one or more storage tanks placed in an insulated box with a glazed side facing the sun. These solar collectors are suited for areas where temperatures rarely go below freezing. They are also good in households with significant daytime and evening hot-water needs; but they do not work well in households with predominantly morning draws because they lose most of the collected energy overnight. Thermosyphon systems are an economical and reliable choice, especially in new homes. These systems rely on the natural convection of warm water rising to circulate water through the collectors and to the tank (located above the collector). As water in the solar collector heats, it becomes lighter and rises naturally into the tank above. Meanwhile, the cooler water flows down the pipes to the bottom of the collector, enhancing the circulation. Some manufacturers place the storage tank in the house's attic, concealing it from view. Indirect thermosyphons (that use a glycol fluid in the collector loop) can be installed in freeze-prone climates if the piping in the unconditioned space is adequately protected. The Energy Efficiency Coalition (EEC) is an umbrella organization challenged with working with governments, businesses, and other organizations to promote energy efficiency. Bodies such as the International Energy Agency (IEA) and the European Union have recognised the vital role of energy efficiency in delivering both climate and energy security, and noted how it supports sustainable economic growth in OECD countries and in emerging economies. The UK Government’s Stern Review and the World Summit for Sustainable Development also gave it prominence. Technology is not the obstacle – the challenges in promoting energy efficiency are finance, communications, and changing traditional behavior. Beyond this, the lack of a voice to promote energy efficiency at the international level has been a brake on action. The REEEP Energy Efficiency Coalition (EEC) aims to provide this strong and coherent voice on the international stage. By bringing together governmental, civil society and business voices, the EEC aims to bridge the gap between political will and action on the ground. EEC helps to support the work of international organisations such as the IEA on policies and technologies so that businesses and governments can accelerate the implementation of energy efficiency. Communication to promote educational programmes targeting homebuilders, policy makers, academicians, and consumers. As an example of the sorts of initiatives that EEC aims for, the coaltion has brought together the major energy efficiency stakeholders in Mexico to sign a joint MoU committing the organisations to the development of a joint action plan to implement energy efficiency in buildings at state and municipal level across the country. The signatories include The National Commission for Energy Efficiency (CONUEE), The National Network of State Energy Commission (RENACE), and The Association for Energy Efficiency in Buildings (AEAEE). The model could also be transferred to other countries such as Brazil. See Learn More on the right side of this page (or below if you've printed it out) for links to NFRC and ENERGY STAR information. An exterior door can contribute significantly to air leakage in a home—as well as some heat transfer—if it's old, not properly installed, and/or not properly air sealed. This can result in energy losses. The best way to incorporate daylighting in your home depends on your climate and home's design. The sizes and locations of windows should be based on the cardinal directions rather than their effect on the street-side appearance of the house. South-facing windows are most advantageous for daylighting and for moderating seasonal temperatures. They allow most winter sunlight into the home but little direct sun during the summer, especially when properly shaded. North-facing windows are also advantageous for daylighting. They admit relatively even, natural light, producing little glare and almost no unwanted summer heat gain. Although east- and west-facing windows provide good daylight penetration in the morning and evening, respectively, they should be limited. They may cause glare, admit a lot of heat during the summer when it is usually not wanted, and contribute little to solar heating during the winter. If you're constructing a new house, you want to consider daylighting as part of your whole-house design—an approach for building an energy-efficient home. Heating and cooling your home uses more energy and drains more energy dollars than any other system in your home. Typically, 43% of your utility bill goes for heating and cooling. What's more, heating and cooling systems in the United States together emit 150 million tons of carbon dioxide into the atmosphere each year, adding to global climate change. They also generate about 12% of the nation's sulfur dioxide and 4% of the nitrogen oxides, the chief ingredients in acid rain. Did you know that the typical U.S. family spends about $1,900 a year on home utility bills? Unfortunately, a large portion of that energy is wasted. And each year, electricity generated by fossil fuels for a single home puts more carbon dioxide into the air than two average cars. And as for the road, transportation accounts for 67% of all U.S. oil consumption. The good news is that there is a lot you can do to save energy and money at home and in your car. Start making small changes today (see sidebar). To cut your energy use up to 25%, see the Long-Term Savings Tips throughout this booklet. The key to achieving these savings in your home is a whole-house energy efficiency plan. To take a whole-house approach, view your home as an energy system with interdependent parts. For example, your heating system is not just a furnace—it's a heat-delivery system that starts at the furnace and delivers heat throughout your home using a network of ducts. Even a top-of-the-line, energy-efficient furnace will waste a lot of fuel if the ducts, walls, attic, windows, and doors are not properly sealed and insulated. Taking a whole-house approach to saving energy ensures that dollars you invest to save energy are spent wisely. Do the energy-saving measures provide additional benefits that are important to you (for example, increased comfort from installing double-paned, efficient windows)? Can you do the job yourself or will you need to hire a contractor? Checking your home's insulation is one of the fastest and most cost-effective ways to use a whole-house approach to reduce energy waste and make the most of your energy dollars. A good insulating system includes a combination of products and construction techniques that protect a home from outside hot or cold temperatures, protect it against air leaks, and control moisture. Rolls and batts—or blankets—are flexible products made from mineral fibers, such as fiberglass and rock wool. They are available in widths suited to standard spacings of wall studs and attic or floor joists: 2x4 walls can hold R-13 or R-15 batts; 2x6 walls can have R-19 or R-21 products. Loose-fill insulation—usually made of fiberglass, rock wool, or cellulose in the form of loose fibers or fiber pellets, it should be blown into spaces using special pneumatic equipment. The blown-in material conforms readily to building cavities and attics. Therefore, loose-fill insulation is well suited for places where it is difficult to install other types of insulation. Rigid foam insulation—foam insulation typically is more expensive than fiber insulation. But it's very effective in buildings with space limitations and where higher R-values are needed. Foam insulation R-values range from R-4 to R-6.5 per inch of thickness, which is up to 2 times greater than most other insulating materials of the same thickness. Foam-in-place insulation—this type can be blown into walls and reduces air leakage, if blown into cracks, such as around window and door frames. Ventilation helps with moisture control and reducing summer cooling bills. Attic vents can be installed along the entire ceiling cavity to help ensure proper airflow from the soffit to the attic to make a home more comfortable and energy efficient. Do not ventilate your attic if you have insulation on the underside of the roof. Check with a qualified contractor. Recessed light fixtures can be a major source of heat loss, but you need to be careful how close you place insulation next to a fixture unless it is marked IC—designed for direct insulation contact. Check your local building codes for recommendations. See Lighting for more about recessed cans. Adding insulation to the attic is relatively easy and very cost effective. To find out if you have enough attic insulation, measure the thickness of the insulation. If it is less than R-30 (11 inches of fiber glass or rock wool or 8 inches of cellulose), you could probably benefit by adding more. Most U.S. homes should have between R-30 and R-60 insulation in the attic. Don't forget the attic trap or access door. If your attic has enough insulation and your home still feels drafty and cold in the winter or too warm in the summer, chances are you need to add insulation to the exterior walls as well. This is a more expensive measure that usually requires a contractor, but it may be worth the cost if you live in a very hot or cold climate. If you replace the exterior siding on your home, you should consider adding insulation at the same time. You may also need to add insulation to your crawl space or basement. Check with a professional contractor. For new homes in most climates, you will save money and energy if you install a combination of cavity insulation and insulative sheathing. Cavity insulation can be installed at levels up to R-15 in a 2 in. x 4 in. wall and up to R-21 in a 2 in. x 6 in. wall. The insulative sheathing, used in addition to this cavity insulation, helps to reduce the energy that would otherwise be lost through the wood frame. The table below shows the recommended combinations. For example, in Zone 5, you could use either a 2x4 wall with R-13 or a 2x6 wall with R-21. For either of those two walls, you should also use an inch of insulative sheathing that has an R-value of R-5 or R-6. Today, new products are on the market that provide both insulation and structural support and should be considered for new home construction or additions. Structural insulated panels, known as SIPs, and masonry products like insulating concrete forms are among these. Some homebuilders are even using an old technique borrowed from the pioneers: building walls using straw bales. First, test your home for air tightness. On a windy day, carefully hold a lit incense stick or a smoke pen next to your windows, doors, electrical boxes, plumbing fixtures, electrical outlets, ceiling fixtures, attic hatches, and other locations where there is a possible air path to the outside. If the smoke stream travels horizontally, you have located an air leak that may need caulking, sealing, or weatherstripping. Caulk and seal air leaks where plumbing, ducting, or electrical wiring penetrates through walls, floors, ceilings, and soffits over cabinets. Look for dirty spots in your insulation, which often indicate holes where air leaks into and out of your house. You can seal the holes with low-expansion spray foam made for this purpose. Look for dirty spots on your ceiling paint and carpet, which may indicate air leaks at interior wall/ceiling joints and wall/floor joists. These joints can be caulked. Install storm windows over single-pane windows or replace them with more efficient windows, such as double-pane. See Windows on page 18 for more information. When the fireplace is not in use, keep the flue damper tightly closed. A chimney is designed specifically for smoke to escape, so until you close it, warm air escapes—24 hours a day! For new construction, reduce exterior wall leaks by installing house wrap, taping the joints of exterior sheathing, and comprehensively caulking and sealing the exterior walls. Kitchen exhaust fan covers can keep air from leaking in when the exhaust fan is not in use. The covers typically attach via magnets for ease of replacement. Replacing existing door bottoms and thresholds with ones that have pliable sealing gaskets is a great way to eliminate conditioned air leaking out from underneath the doors. Set konzola za instalaciju kolektora na crijep od škriljevca-4 kom. Set dugih vijaka za instalaciju na klasičan crijep ili Berliner-4 kom. S dvanaest tvornica i više od 2200 zaposlenih »URSA« je ostvarila više od 435 milijuna EUR prihoda u 2004. godini. Tvornice izolacijskih materijala »URSA« nalaze se u Španjolskoj, Francuskoj, Belgiji, Njemačkoj, Poljskoj, Rusiji, Mađarskoj i Sloveniji. Tvrtka »URSA Slovenija« d.o.o. u vlasništvu je jedne od vodećih europskih kompanija na području izolacija »URSA International GmbH«, te predstavlja suvremenu uspješnu tvrtku, koja je poslovno i vlasnički još od 1992. godine integrirana u europsku privredu. Naša razvojna strategija, kvalitet naših proizvoda i poštivanje ekoloških standarda te interesa naših kupaca, izgradili su robnoj marki »URSA« ugledan položaj na brojnim europskim tržištima. Kao proizvođač toplinskih i zvučnih izolacija od mineralne - staklene vune i ekstrudiranog polistirena unutar grupe »URSA International« imamo razvijenu prodajnu i tehničko – servisnu mrežu putem vlastitih tvrtki i predstavništava u cijeloj jugozapadnoj i jugoistočnoj Europi, a naše proizvode prodajemo u 29 država. Većinu prihoda ostvarujemo na inozemnim tržištima što nas ubraja među najveće izvoznike u Republici Sloveniji. Pod mineralnom vunom se podrazumijevaju i staklena i kamena vuna. Razlika između njih je u sirovini od koje se dobijaju, tehnološkom postupku i krajnjim osobinama materijala. Glavna sirovina od koje se dobija staklena vuna je kvarcni pijesak s dodatkom recikliranog stakla. Kamena vuna se dobija od kamenja odnosno minerala eruptivnog porijekla - bazalta i diabaza s dodatkom koksa. Razlika je u načinu izrade vlakana: vlakna staklene vune izrađuju se ulijevanjem taline kvarcnog pijeska i stakla u rotore, dok se kamena vuna pak dobija nalijevanjem otopljene kamene smjese na rotacione valjke. Vlakna od staklene vune su elastičnija i približno 10-puta duža. Povratna elastičnost vlakana omogućava komprimiranje na 5-puta manji volumen, što podrazumijeva manji volumen pri transportu i skladištenju. Ugradnja je jednostavnija jer nije potrebno precizno rezanje materijala na ugradnu mjeru. Po ugradnji u praksi ne ostaju prazna – nepopunjena mjesta, koja predstavljaju toplinske mostove. Da li staklena vuna ima štetan utjecaj na zdravlje ljudi? Staklena vuna nema štetan utjecaj na zdravlje ljudi! “URSA” izolacije od staklenih vlakana nose znak kvalitete RAL. To znači, da proizvodi označeni tim znakom zadovoljavaju europske kriterije, koji su propisani od strane »RAL Deutsches Institut für Gütesicherung und Kennzeichehnung e.V.«, a prema kojima takvi proizvodi nisu štetni za zdravlje ljudi. Svi proizvodi s oznakom RAL garantiraju sigurnost kako montažerima tako i korisnicima objekta. Vlakna toplinske izolacije “URSA” GLASSWOOL biološki su razgradljiva i ne djeluju agresivno na sluznicu dišnih organa. Zdravstvenu neškodljivost redovito, dva puta godišnje, kontrolira nezavisna, stručno priznata institucija. Prilikom ugradnje se preporuča upotreba zaštitnih rukavica i radnog odijela. Da li je staklena vuna “URSA” primjerena za protupožarnu zaštitu? Da! Staklena vuna je negoriv materijal klase A1 po europskoj klasifikaciji i primjeren je za upotrebu u konstrukcijama od kojih se zahtijeva određeni stupanj protupožarnosti i u konstrukcijama kod kojih se od određenih materijala zahtijeva određena klasa gorivosti. Staklena vuna ima temperaturu taljenja iznad 550°C, negoriva je i moguće ju je upotrebljavati u konstrukcijama od kojih se zahtijeva određeni stupanj protupožarnosti. Upotrebom staklene vune moguće je postići protupožarnost pregradnih zidova, u zavisnosti od izbora obloge od gips-kartonskih ploča, i do 120 min. Detaljniji podaci o klasi protupožarnosti određuju se na osnovi testiranja kompletnih sistema. Vrijednosti za klasu protupožarnosti date su u certifikatu i tehničkoj dokumentaciji ponuđača sistema. Hidrofobni dodaci spriječavaju navlaživanje vune između vlakana. Po europskom standardu (SIST EN 13162) proizvodi se mogu testirati po dva kriterija: na kratkotrajno upijanje vlage i dugotrajno upijanje vlage. Proizvodi koji su po spomenutim normama označeni sa W p i W lp ispunjavaju propisane vrijednosti. To znači da je navlaživanje ipak prisutno, ali u količinama - granicama propisanim standardom. Da li je navlažena izolacija od mineralne staklene vune još uvijek upotrebljiva? Navlažena tolplinska izolacija “URSA” GLASSWOOL nakon sušenja ima praktično iste toplinsko -izolacijske karakteristike kao i prije navlaživanja. U primjeru jednokratnog navlaživanja vune potrebno je omogućiti odgovarajuće isušivanje. Preporučljivo je da se vuna ostavi otvorena barem s jedne strane tako da je proces isušivanja kraći. Isušena vuna praktično ima identične toplinsko -izolacijske karakteristike kao i prije navlaživanja. Razumljivo, navlaživanje se ne smije pojavljivati često jer bi se u tom slučaju izolacija slegla, što bi utjecalo na slabiju izolativnost. Kuda s otpacima od mineralne staklene vune “URSA” GLASSWOOL, koji ostaju poslije montaže ili po isteku vijeka trajanja? Deponiranje otpadaka moguće je izvršiti na građevinske deponije ili na klasične deponije za domaćinstva, jer ovi otpaci ne sadrže opasne materije. U čemu su prednosti izolacije u rolama? Termo i zvučna izolacija “URSA” u pločama ili u roli ima odgovarajuće tehničke karakteristike u fazi ugradnje. Prednost izolacije u roli je u do 5 puta manjem volumenu kojeg izolacija zauzima u fazi skladištenja, transporta i ostalih manipulacija. Staklena vuna je materijal koji omogućava komprimiranje i pakiranje u role jer su vlakna elastična. Nakon razvijanja role izolacija se vraća na prvobitnu - nazivnu debljinu i u fazi upotrebe se ne sliježe. Prednost izolacije u roli je što se poprečnim rezanjem optimalno upotrebljava cijela količina. Kod izolacije u pločama to je neizvodljivo zbog standardnog formata ploče. Za koje su namjene primjereni pojedini toplinsko- i zvučno- izolacijski materijali “URSA”? Unutar obje grupe postoji veći broj proizvoda, koji se razlikuju po primjerenosti za pojedine namjene u građevinarstvu. Osnovna podjela materijala po namjenama je prikazana u tablicama. Za pojedine namjene moguća je i upotreba drugih materijala koji nisu navedeni u tablicama, a za što je preporučljivo za savjet kontaktirati “URSA” tehničku službu. Koje su preporučene debljine toplinske izolacije na pojedinim konstrukcija ma? Koje osobine kosog krova postižemo pravilnim izoliranjem? sposobnost »disanja«: postiže se pravilnim izborom materijala što ujedno spriječava nastajanje kondenzacije unutar krovne konstrukcije. Zašto je mineralna staklena vuna “URSA” najprimjereniji materijal za izolaciju kosih krovova? izolacija od mineralne staklene vune može se komprimirati u role, tako da u fazi skladištenja i transporta zauzima do 5-puta manje prostora nego što ga zauzima po razvijanju role. Nakon odstranjivanja ambalažne folije izolacija u roli se po razvijanju role podigne na nominalnu - ugradnu debljinu. prije ugradnje između rogova izolacija se reže na 1 do 2 cm veću širinu. Elastičnost omogućava da se vuna prilagodi prostoru u koji se postavlja. U slučaju drvenog potkrovlja to je vrlo značajno budući da je drvo prirodan materijal koji uvijek »radi«. Rogovi se u praksi uvijek malo izvijaju prilikom čega staklena vuna ispunjava cijeli prostor; toplinski mostovi se ne pojavljuju na mjestima uz rogove kao prilikom upotrebe krutih ili tvrdih, neelastičnih, izolacijskih materijala. poprečnim rezanjem vune iz role, u pravilu, upotrijebi se cijela količina vune koja je u roli - praktično nema otpada. Ispod krovnog pokrova postavljena je podaščana oplata na koju je postavljena krovna ljepenka a s izolacijom je ispunjen cijeli prostor do podaščane oplate i ljepenke bez ventilacijskog kanala. U tom slučaju će se za vrijeme hladnih dana ispod ljepenke skupljati kondenz. To s vremenom utječe na truljenje drveta, smanjuje toplinsku izolativnost, a može doći i do prodora kondenza unutar prostora potkrovlja. Sanacija se izvodi bez dodatne toplinske izolacije s donje strane rogova. U tom slučaju realna toplinska izolativnost krovne konstrukcije nije jednaka izolativnosti na mjestu izolacije. Neizolirani rogovi predstavljaju toplinski most sa približno 4 puta slabijom izolativnošću. Parna zapreka ili parna brana namještena je korektno ali prilikom postavljanja elektro instalacija na više mjesta je probijena. U navedenem slučaju postoji opasnost da na mjestima proboja dođe do prevelikog prolaska vlažnog zraka prema vanjskim slojevima. Uslijed toga ispod paropropusne folije ili ispod krovnog pokrova može doći do kondenzacije. Sve eventualne proboje potrebno je odgovarajuće zaptiti odnosno zalijepiti. Kako kvalitetno izvesti kosi krov iznad potkrovlja u kojem se stanuje u slučaju novogradnje? Preporuča se ukupna debljina toplinske izolacije od 20 do 25 cm. To podrazumijeva u cijelosti ispunjen prostor između rogova uz dodatnih 5 do 12 cm izolacije ispod njih. Posebno je značajna pravilna upotreba građevinskih folija. Na unutarnjoj - toploj strani krova potrebno je ugraditi foliju – parnu prepreku ili parnu branu. Preporuča se ugradnja parne prepreke, jer ona u određenoj mjeri propušta difuznu vodenu paru, ali samo u količinama koje ne utječu na pojavu prekomjerne kondenzirane vlage unutar krovne konstrukcije. Parne prepreke imaju paropropusnost približno sd = 2,0 metra. Posebno je značajna preciznost prilikom ugradnje parnih zapreka. Svi uzdužni spojevi, proboji i priključci na zidove moraju biti dobro zaptiveni odnosno zalijepljeni. Za tu namjenu postoje različite zaptivno -ljepljive trake i mase. Krov treba biti izveden s ventilacijskim kanalom minimalne visine 4 cm i odgovarajućom izvedbom prijema zraka u ventilirani prostor i ispusta u sljemenu. Zračni kanal spriječava kondenzaciju vlage ispod krovnog pokrivača a ujedno spriječava i pregrijavanje podkrovlja za vrijeme ljetnih vrućina. Između izolacije i zračnog kanala mora biti namješten sekundarni krovni pokrivač - paropropusna-vodonepropusna folija. Dobre paropropusne folije imaju sd vrijednost £ 0,02 m.
Ugradnja podaščane oplate nije nužna, ali je korisna jer krovu daje prohodnost za vrijeme montaže i kasnijih intervencija. Daske moraju biti suhe i namještene uz međusobni razmak od 1 do 2 cm. Kako pravilno izvesti sanaciju postojećeg kosog krova s vanjske strane? Sanacija krovne konstrukcije s vanjske strane obično se izvodi prilikom zamjene krovnog pokrova. Potrebno je ocjeniti u kakvom je stanju postojeća toplinska izolacija i parna zapreka. Ako je potrebno postavljanje nove parne prepreke nju se treba polagati neposredno uz rogove. Preklope parne prepreke je potrebno međusobno zalijepiti . Posebno je bitno izvesti dobar spoj - postići dobru zaptivenost - između parne prepreke i zida. Po vjetrovitom vremenu u pravilu dolazi do prodora hladnog zraka zbog nestručnog izvođenja tog detalja. Ako postojeća toplinska izolacija nije mokra i ravnomjerno ispunjava prostor između rogova, ne treba intervenirati . Često je potrebno dodati odgovarajuću debljinu tako da prostor između rogova po visini bude potpuno ispunjen. Da bi postigli odgovarajuću debljinu toplinske izolacije, na rogove se s gornje strane poprečno postave letve. Između letvi se postavi dodatni sloj toplinske izolacije “URSA”. Visina letve definira debljinu toplinske izolacije a preporuča se da bude od 5 do 10 cm. Ukupna debljina izolacije neka bude 20 do 25 cm. Preko letvi se namjesti paropropusna folija koja ujedno ima i ulogu sekundarnog krovnog pokrivača. Potom se postavljaju kontraletve visine minimalno 4 cm koje formiraju kanal za provjetravanje . Na njih se poprečno postave letve koje služe za polaganje krovnog pokrivača. Je li toplinska izolacija od mineralne staklene vune “URSA” samonosiva kod montaže između rogova s donje strane? “URSA” ima u svom programu vi še razina kvaliteta. Prilikom upotrebe odgovarajućeg materijala (“URSA” SF 35 ili “URSA” SF 38) to nije problem. Otežano namještanje toplinske izolacije između rogova sdonje strane događa se u slučaju materijala “URSA” ELF ili DF 40 kod tanjih debljina. Prilikom upotrebe odgovarajućeg materijala i rezanja na dimenziju koja je 1 do 2 cm veća od potrebne mjere, izolacija stabilno stoji na svom mjestu za vrijeme montaže i poslije tijekom eksploatacije. U čemu je razlika među građevinskim folijama u sistemu kosih krovova - parna brana, parna zapreka, paropropusna folija? Parna brana sasvim spriječava prolaz vodene pare. Po pravilu se ugrađuje što bliže toplijoj strani konstrukcije (npr. između unutrašnje finalne obloge i izolacije). Parna zapreka djelomično spriječava prolaz vodene pare. U pravilu se ugrađuje što bliže toplijoj strani konstrukcije. Za razliku od parne brane još uvijek omogućava "disanje" krova. Parna zapreka se ugrađuje u slučaju kad na vanjskoj strani imamo izveden prozračni kanal, koji omogućava odzračivanje vodene pare koja prolazi kroz krovnu konstrukciju. Paropropusne folije (sekundarni krovni pokrivači) ne smiju spriječavati prolaz vodene pare. Ugrađuju se na hladnijoj strani izolacije jer bi ugradnja parne brane, ili parne prepreke, u suprotnom slučaju predstavljala problem. Vodena para mora preko nje nesmetano prolaziti prema vani (u ventilacioni kanal), tako da ne dolazi do kondenzacije unutar krovne konstrukcije. Paropropusna folija služi kao sigurnosni-sekundarni pokrivač te kao zaštita izolacije i cijele konstrukcije od vjetra. Najvažnije tehničke karakteristike folija su: stupanj propuštanja vodene pare - paropropusnost, mehaničke karakteristike (prije svega prekidna čvrstoća i otpornost na proparavanja čavlom) te otpornost na starenje (otpornost na izlaganje UV zracima). Paropropusnost se označava s sd. dobre paropropusne folije sd ≤ 0,02 m.
U čemu je razlika između materijala “URSA” SF 38 i “URSA” DF 40? Obje izolacije imaju istu namjenu – izolacija kosih krovova - ali je “URSA” SF 38 kvalitetnija. Razlika je u kompaktnosti i samonosivosti. “URSA” SF 38 je kompaktnija i ima veću samonosivost uglavnom zbog veće količine veziva. Pored toga razlika je i u vizualnom izgledu: “URSA” SF 38 ima utisnute oznake na površini, koje omogućavaju jednostavnije odmjeravanje i rezanje te ugradnju. Zašto je mineralna staklena vuna “URSA” najprimjereniji materijal za izolaciju suhomontažnih pre gradnih zidova? Postiže li se suhomontažnim pregradnim zidovima kvalitetna zvučna zaštita? Koje su najčešće greške prilikom izvođenja suhomontažnih pregradnih zidova? Nedovoljna ispunjenost zida toplinskom izolacijom. Postavljanje pregradnog zida direktno na plivajući estrih uslijed čega se zvuk prenosi preko estriha na drugu stranu. Potrebno je postaviti zid na noseću ploču, sdilatacijom između plivajućeg estriha i pregradnog zida. Ugradnja elektroinstalacija s nepreciznim izrezima obloga, neispunjenost preostalog prostora s izolacijom, pozicioniranje elemenata na obje strane zida na istom mjestu čime se stvara zvučni most. Izvođenje pregradnih zidova samo do spuštenog stropa i neispunjenje do međukatne konstrukcije čime se također stvara zvučni most. Na koji način možemo ograničiti ometajuću buku iz gornjih prostorija zgrade s više stanova? Jedan od mogućih načina je dodatna suhomontažna obloga postojeće konstrukcije. Ovaj način je namijenjen za veće površine a ne kod manjih površina gdje je efekt prenosa zvuka po obodnim konstrukcijama preveliki. U slučaju problema prevelike buke s gornje etaže sanacija može biti stvarno uspješna samo ako se izvede dodatna obloga kako stropa tako i obodnog zida. Na taj se način smanjuje obodni efekt. Sanacije na sličan način su izvodljive, ali nisu jeftine. Veoma je važan i kvalitet izvođenja. Ponekad je radi specifičnog prenosa zvuka po obodnim konstrukcijama teško postići 100% željeni rezultat ali u svakom slučaju se postiže poboljšanje! Nudi li “URSA” odgovarajuće rješenje za izvođenje ravnog krova? U proizvodnom programu »URSA« -e, pored staklene vune, postoje i toplinsko - izolacijski materijali od ekstrudiranog polistirena, koji je odličan materijal za izvedbu obrnutog ravnog krova. Obrnuti ravni krov ima brojne prednosti u odnosu na klasičan ravni krov a koje anuliraju minimalnu razliku u cijeni. Hidroizolacijski sloj je toplinskom izolacijom “URSA” XPS zaštićen od sunčevog zračenja. Hidroizolacijski sloj nije direktno izložen hodanju po njemu pa je smanjena opasnost od probijanja i cijepanja istog. Toplinska izolacija od ekstrudiranog polistirena ne upija vlagu. Kiša za vrijeme montaže ne utječe na toplinsko - izolacijske osobine što nije slučaj u primjeru klasičnog ravnog krova gdje se upotrebljava kamena vuna. Obrnuti ravni krov nije problematičan u smislu navlaživanja konstrukcije uslijed difuzije vodene pare. Klasični ravni krovovi su na lošem glasu upravo zbog gore navedenih razloga odnosno nedostataka. Kod klasičnog ravnog krova praktički je nemoguće locirati mjesto pucanja hidroizolacije. Obrnuti ravni krov rješava sve navedene probleme, vijek trajanja je neproporcionalno veći u odnosu na razliku u cijeni izvođenja kod obje konstrukcije. Smijemo li kod sistema obrnutog ravnog krova upotrijebiti XPS položen u dva sloja? Ako se ekstrudirani polistiren postavlja u dva sloja, postoji opasnost da u slučaju kiše između dva sloja XPS-a uđe voda. To bi izazvalo nastajanje vodenog filma među slojevima. Nastali vodeni film predstavlja vrlo jaku parnu branu (vrlo je paronepropusan!). Voda koja je prodrla, i koja se nalazi u sloju ispod nastalog vodenog filma, s vremenom počinje isparavati zbog više temperature u unutarnjim slojevima te prouzroči povećanje parcijalnog tlaka vodene pare. To može prouzročiti difuzijsko navlaživanje ekstrudiranog polistirena (kondenzaciju). U slučaju “URSA” XPS relativna vlažnost materiala može se podići na razinu do pribl. 3%, što je u usporedbi s konkurentnim materijalima jednako ili čak i bolje. Ali bez obzira na to, iz navedenog razloga slabi toplinska izolativnost i dugoročno postoji opasnost od štete koju bi moglo prouzročiti smrzavanje kondenza u jako hladnim danima. Smije li se “URSA” XPS lijepiti plamenom na vertikalni zid s bitumenskom hidroizolacijom? Lijepljenje na takav način je izvodljivo, ali nije preporučljivo. Prilikom lijepljenja zagrijavanjem bitumenske hidroizolacije otvorenim plamenom može doći do prevelikog stanjivanja hidroizolacije što nije prihvatljivo. Također postoji opasnost od oštećenja izolacijske ploče XPS-a otvorenim plamenom. Za kvalitetno i sigurno izvođenje preporučljiva je upotreba odgovarajućih lijepila za tu namjenu – lijepila na bitumenskoj osnovi ili cementna građevinska ljepila.